The last few weeks have been so packed…right up to the end of the summer which made today feel like a crazy abrupt start to structured life again. I may not be ready for summer to be over but I’m super excited for the kids…it’s going to be a great year! – Olivia has so many new experiences waiting to happen as a 7th grader – she’s going to LOVE the greater independence and responsibility that comes with being in Jr. High. – And, Rudy? Well, he started at Mountainview Elementary today as a full-fledged Kindergartener in a split special ed/typical class. It’s a good placement for him and we expect the fun trajectory of progress he has been on lately will take flight in this new educational environment. I anticipate there will be much to savor this school year! ‘Hoping your summer is wrapping up nicely. 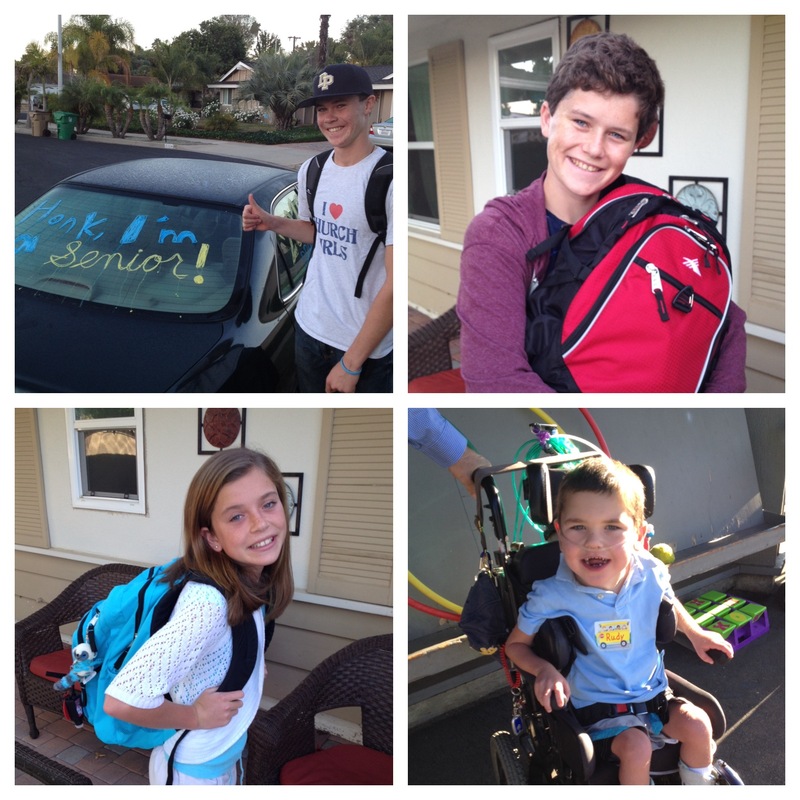 Happy Back-to-School Day to you and yours! Pic with the big sibs too!! All smiles heading back to school! 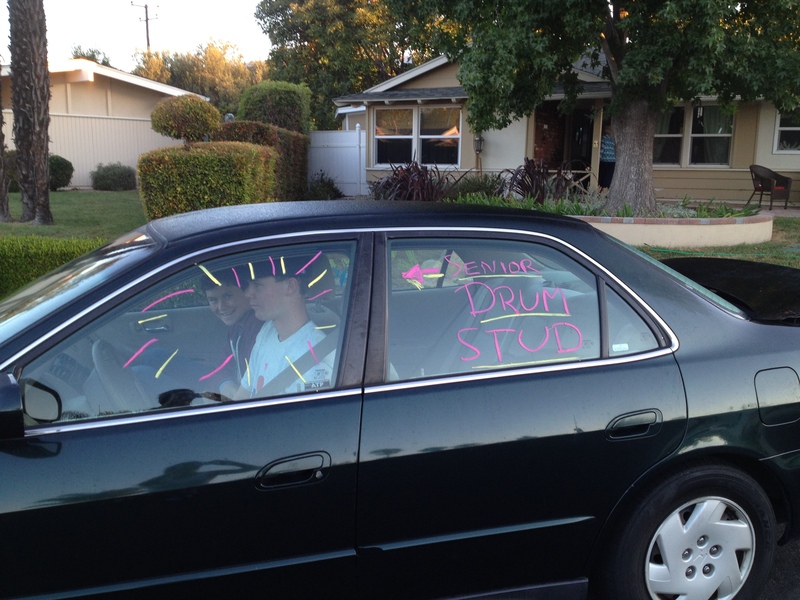 Car window “Love notes” to Wilson by Olivia and Rolf. 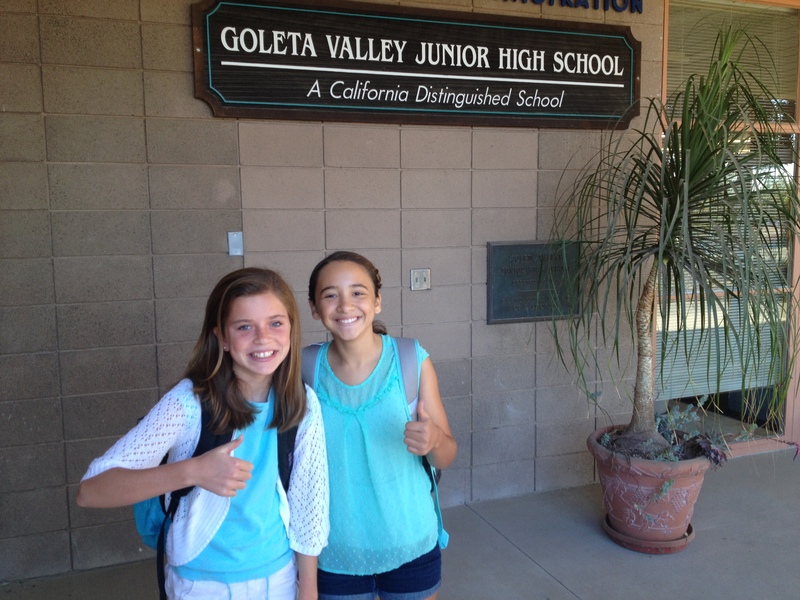 Olivia and good friend Dahlia giving us the 7th grade thumbs up!! Next Post It’s That Time Again!!! What a great bunch of grandchildren I have it was so much fun !! Sad to have to leave, My I phone is cooling down after Rudy was kind enough to “hold it” for me a LOT !!! He was asking for you repeatedly yesterday afternoon/evening. We appear to bore him, Oma! Wow! Oliviia is already the same grade as my homeroom class….oh my doodness!!! 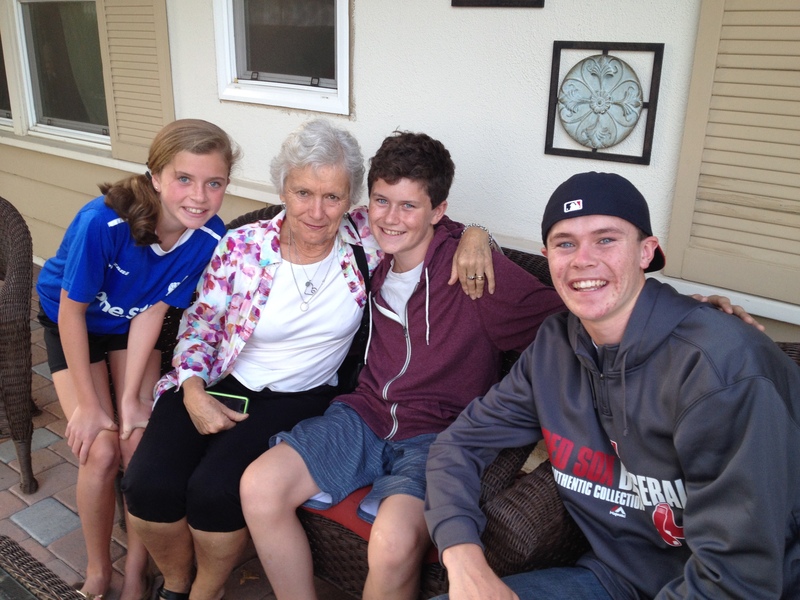 Love the pictures of Oma with the kids….she looks well! I know you’re secretly looking forward to the structure of fall, Trish!!! Hope you can enjoy some new songs, new coke flavors…etc. 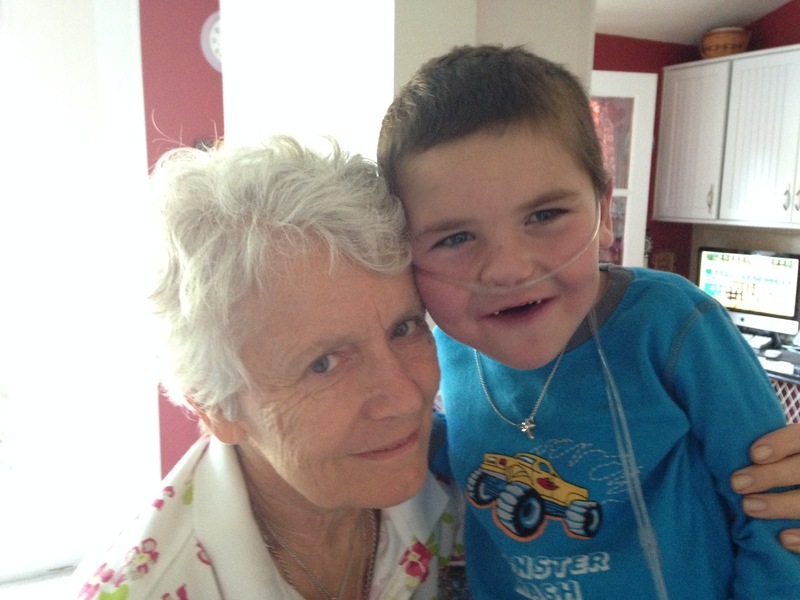 Rudy, I know you miss your playmate, Oma! Now you can concentrate on making new friends at school. This will be a great year for you and your sibs, so God Bless all of your family as you transition back to school routine. I love all of you!!!!! Such lovely children you are growing, Trish. In every way. Good stuff and great pics! I always look forward to reading Rudy’s Beat.